CBD become one of the most sought-after medicines on the market today. Not only is it able to treat a wide range of ailments ranging from cancer to arthritis, CBD is known to be effective without causing any obvious side effects. It can be used safely in the long-term without causing addiction and dependence. 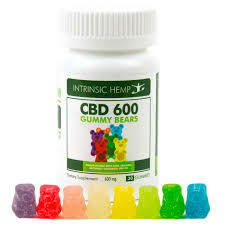 There are tons of ways to use CBD, and one of the most popular is to use CBD gummies. These products provide patients with a tasty and fun way to medicate themselves. In this article, we’re going to talk about the use of CBD gummies for helping to fight off anxiety and depression. These are just a few of the things that CBD can be useful for treating. CBD works by affecting the body’s endocannabinoid system, a system of neurotransmitters that affects a huge number of our bodily processes. We’ll touch on that later in the neurochemistry section. CBD is attractive to a number of people because it presents a holistic alternative to a lot of pharmaceutical medications. Many people find that their pharmaceuticals may be effective for treating a problem on the surface, but the side effects often compete with the benefits and in the long-run the illness is rarely treated. CBD gummies, on the other hand, can help people manage the symptoms of their illnesses without actually becoming dependent on a drug or overwhelmed by side effects. This provides a unique opportunity to actually heal the root of the problem. Many people are hesitant to use CBD because they know that it comes from the same plant as THC. THC, or tetrahydrocannabinol, is another cannabinoid. This one is largely responsible for many of the psychoactive effects that a person can experience when smoking marijuana. Marijuana is quite a powerful drug and it’s understandable that some people would want to ensure that they’re not going to get high when using CBD. Rest assured, CBD and THC have vastly different effects, and CBD is not psychoactive at all. This is interesting because structurally, CBD and THC are almost identical. Their molecules have the same number and same type of atoms; they are simply arranged differently. This contributes to the vast differences in experiences when using these two compounds. The interesting thing about CBD is that it will not have many effects if you are not treating an actual problem. That is to say, CBD works by helping to restore balance and function to the endocannabinoid system (ECS), as mentioned earlier. If your endocannabinoid system is in perfect health, then taking CBD won’t do much for you. Unfortunately, the reality is that most of us have at least some imbalance in our ECS. These imbalances can come from a number of things that we’re exposed to on a daily basis: pollution, stress, unhealthy food, etc. All of these benefits can work together to help ward off various illnesses and diseases. CBD does not get you high. As mentioned earlier, the CBD molecule is nearly identical to the THC molecule. However, because of the arrangement of these molecules, the two compounds act entirely different inside the body. THC directly affects the body whereas CBD indirectly affects the body. This is why THC is much more apparent when ingested than CBD. There are a huge number of different products containing CBD available. The variety in products allows for patients to choose from a number of ways of consuming CBD. The different methods of taking CBD will provide differences in the effects and duration of the substance. CBD oil and tinctures are among the most popular CBD products. These oils and tinctures are so popular that we have dedicated a section to them below. CBD capsules. Capsules are great for oral use but they can also be broken apart and taken sublingually or under-the-tongue. Capsules tend to come on slower than the other methods of using CBD but they also last for a bit longer. Smokeables and vape products are useful for people who have acute problems like pain or panic attacks. These products can be inhaled and the effects felt almost immediately, though they tend to wear off much quicker. Topical products. There are a number of products made with CBD that can be applied directly to the skin. These products are great because the active ingredient can be absorbed into the skin and there won’t be any effects on a person’s mental or physical site except where they apply it. The most effective way to use CBD oil is to take it sublingually. This involves holding the oil under your tongue for about 5 minutes so the CBD can be absorbed into the blood vessels there. This causes it to hit you faster and you’ll end up using less of it this way, thus saving money. CBD oil is also used in the making of a number of other CBD products, like edibles. 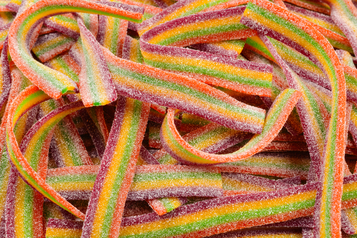 CBD edibles are one of the most popular ways to consume CBD. People have had great success using CBD oil to make snacks and treats filled with CBD that people can eat. Ranging from CBD gummies to CBD peanut butter, edibles are a great way to medicate yourself. One of the best things about edibles is that they are more slowly metabolized than the other forms of CBD. This means that the active effects may come on a bit slower but they will linger for much longer. One of the most popular uses for CBD gummies and other forms of CBD is for helping people manage anxiety. Many people were baffled by the implications of this, particularly because THC is well-known for causing anxiety in many people. Folks were wondering how a cannabinoid – especially one so similar to THC – could be used for fighting anxiety. We’ll discuss the reasoning a bit more in the neurochemistry section below. For now, the simple fact of the matter is that CBD helps to manage anxiety by relaxing the mind and body, as well as balancing out the endocannabinoid system. CBD has been shown to be useful for fighting all sorts of anxiety, ranging from generalized anxiety to panic disorder. Many have found success using a vape pen to help them manage acute panic attacks. CBD has even been shown to help fight anxiety associated with serious conditions like post-traumatic stress disorder. CBD has proven to be a very exciting alternative for helping people manage depression. Many traditional antidepressants are known for causing a huge number of side effects. These drugs often take a long time to work – many people have to use them for up to three weeks before these drugs work – and they often have drastic effects on a person’s physical and mental health. CBD gummies and other forms of CBD are a great tool for helping some people get the treatment that they need to actually eliminate their depression. After this, they can stop using CBD. This is in stark contrast to traditional antidepressants which many people find themselves using for the rest of their lives. We have touched on the subject of CBD and neurochemistry in this article, but only briefly. In this section we will give a bit more information about the way CBD affects our brain and nervous system. As mentioned, CBD affects the ECS. This massive system of neurotransmitters and receptors is responsible for governing many facets of our brains and bodies. It helps to regulate our immune system, manage our digestion, regulate our mental health, and generally help to ensure that we function properly. Unfortunately, many of us have an imbalance in the ECS. CBD works by helping to restore balance to this vast system by indirectly influencing it. This is one of the reasons that CBD has such vastly different effects than THC. THC directly binds to what are known as cannabinoid receptors. By binding to these receptors, THC can have a direct, immediate, and profound effect on this entire system. CBD, on the other hand, works indirectly. Not only does it not bind to the receptors, but it actually makes it more difficult for substances like THC to bind to them. Instead, CBD works ‘behind the scenes’ to have a positive and regulatory effect on certain neurotransmitters like dopamine, serotonin, and our own naturally produced cannabinoids. The dosage that one requires when they are using CBD depends on their condition and how serious it is. Dosages vary greatly between people and since CBD hasn’t been approved by federal organizations there is no standard dosage. However, there are certainly some standards that one could expect to use. People with anxiety may need anywhere from 10 to 50 mg of CBD. 10 mg doses of capsules or oils can be useful for helping to treat mild-to-moderate social anxiety and general anxiety. Higher doses can stave off a panic attack in its tracks. People with pain or inflammation often require slightly higher doses. 20 mg can be effective for mild-to-moderate inflammation, but doses of anywhere from 50-100 mg are quite common. People with depression often take higher doses, beginning at around 50 mg. However, people with melancholy or mild depression caused by situations or events can find some improvement using around 20 mg.
Keep in mind the way that you consume your CBD also has an impact on how much you need. Consuming CBD gummies or tinctures orally causes some of the drug to be destroyed by the liver before it’s absorbed into the bloodstream. 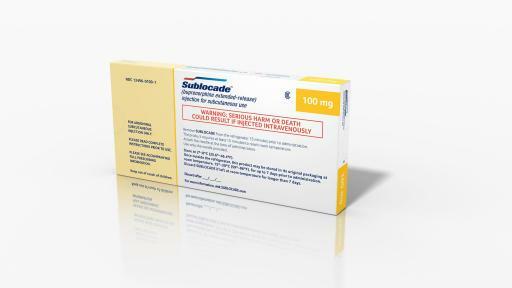 Taking it sublingually helps to prevent this and reduces the amount required by about 40 percent. The vast majority of people won’t experience any side effects from CBD. Aside from the fact that higher doses might make you sleepy and unfit to drive a motor vehicle, CBD won’t cause any serious side effects unless you are allergic to cannabinoids. That said, some people are extremely sensitive to the compound. These people may experience symptoms like dry mouth, diarrhea, and nausea. However, this may indicate that the medicine was not prepared properly or was produced in a facility with low safety and health standards. One thing to be noted is that people using THC for recreational purposes might find the effects diminished if they use CBD. However, people who are using THC for medicinal purposes often find that the benefits are enhanced when they are using CBD in addition to THC. Hopefully, this article has helped you to better understand CBD and the powerful benefits that it can provide for you and those that you love. Good luck healing yourself with this fantastic medicine. Depression is a mental health disorder associated with significant morbidity and mortality, being a major risk factor for suicide, substance abuse, poor outcomes of medical conditions, and impaired functionality. It is characterized by flattening of mood, loss of emotional expression, and retardation of thought and movements. Individuals who have depression usually have a depressed mood, loss of interest in activities they were usually interested in, sleep disturbance, loss of energy, and reduced ability to thick or focus. The American Psychiatric Association’s Diagnostic Statistical Manual of Mental Disorders, Fifth Edition (DSM-5) categorizes depressive disorders into major depressive disorder, persistent depressive disorder, premenstrual dysphoric disorder, disruptive mood dysregulation disorder, and depressive disorder due to a medical condition. However, all these classes of depression are characterized by the presence of a sad or irritable mood with associated difficulty in thinking, concentrating, and carrying out normal physical tasks, impairing the individual’s daily functioning. Between 2009 and 2012, approximately 7.6% of Americans aged 12 and above were diagnosed with depression and it was more common among females and persons aged 40 and 59. In 2015, about 16.1 million adults aged 18 and over had a minimum of one depressive episode in the previous year. Depression has been found to occur in children at an incidence rate of 0.9% in preschool-aged children, 1.9% in school-aged children, and approximately 4.7% in adolescents. In prepubertal children, depression occurs in boys and girls at an equal rate. Generally, depression in men and women has the highest rates in those aged between 25 to 44 years and the incidence of severe depression increases with age. What are the Traditional Treatments for Depression? There is a wide range of treatments for depression which have proven effective in improving symptoms. A combination of medications and psychotherapy is effective in reducing the symptoms of depression, and therapy with either form alone is often ineffective. Combination therapy has been found to increase quality of life and improve treatment compliance in patients with depression. Advanced treatment techniques used for the treatment of depression include electroconvulsive therapy which uses high-energy electric stimulation, and bright-light therapy involving exposure of an individual with depression to bright light at an intensity of 10,000 lux for a period of one hour in the morning. Psychotherapy is often combined with medications in the treatment of depression. There are different types of therapy for depression and these can be grouped based on their efficacies. A therapy is considered “efficacious and specific” if studies in at least two settings (hospital, home therapy, rehab center etc.) have proven it more effective than medications. A therapy is considered “efficacious” if it has been proven from at least two settings that it is superior to no treatment at all, and it is “possibly efficacious” if it has been proven effective in at least one study in a single setting. Examples of efficacious and specific therapies include cognitive behavioral therapy, problem-solving therapy, and interpersonal therapy which help the individual modify their behaviors and interpersonal relationships. An example of an efficacious therapy includes mindfulness-based cognitive therapy to prevent a recurrence or relapse, and an example of possibly efficacious therapy is continuation cognitive therapy to prevent recurrence by helping the individual develop positive thinking and behavioral patterns. Medications used for treating depression are of different classes, each with a different mechanism of action, characteristics, and side effects. Some of these drugs include Fluoxetine (Prozac), Citalopram, Amitriptyline, Imipramine, and Nortriptyline. These drugs generally increase the concentration of stimulant substances in the brain to improve the depressive symptoms. St. John’s wort – This plant, although not approved for treatment of depression by the FDA, has been linked with increased amounts of serotonin in the body correlating to improvement of depressive symptoms. Omega-3 fatty acids – Omega-3 fatty acids are commonly found in fish such as salmon, sardines, and trout, and this substance has been linked to improvement in depressive symptoms. SAM-e – S-adenosylmethionine (SAM-e) is artificially designed to function like chemicals in the brain which elevate mood. It is considered a supplement useful in improving symptoms of depression. Folate – Folic acid which is found in a number of foods such as beans, lentils, dark leafy greens, and fortified cereals have been found to improve the effectiveness of medications used in treating the disorder. Cannabidiol (CBD) is a naturally occurring chemical compound found in the hemp plant. It is one of the numerous unique compounds called cannabinoids which naturally occur in hemp. Generally, cannabinoids can be produced in the body (these are known as endocannabinoids) or found in the hemp plant as phytocannabinoids. CBD is industrially extracted from the cannabis plant and separated from the other cannabinoids, representing about 40% of cannabis extracts. CBD is a phytocannabinoid which helps to stimulate the regulation of the central nervous system. CBD, therefore, helps supplement the effects of endocannabinoids in regulating appetite, mood, functions of the immune system, sensation, and keeping our bodies working normally. CBD oil is made from hemp plants and can be purchased legally in the United States. CBD is available in different forms such as tinctures, concentrates, capsules, sprays, tapes, and topicals. Most times, people interchange CBD for tetrahydrocannabinol (THC), another cannabinoid found in the hemp plant. Both of them represent the commonest compounds found in the plant. However, they have numerous differences. THC, unlike CBD, is intoxicating causing a high and euphoria. It is responsible for the “high” felt by marijuana users. CBD, on the other hand, is not a psychoactive substance as it does not act via the same biological pathways in the body as THC. CBD has been shown to have anti-oxidant properties which means that it is capable of mopping up toxic substances obtained from food or generated in the body. These substances are often at the center of inflammatory conditions such as myocardial infarction, inflammatory bowel disease, and stroke. Oxidative stress caused by the release of these toxic substances causes age-related diseases such as Alzheimer’s disease and Parkinson’s disease and CBD has been found to protect against these degenerative diseases of the brain and reduce their clinical progression in patients suffering from them. CBD may also help in the clinical improvement of some autoimmune disease such as lupus and rheumatoid arthritis. Clinical trials have shown that CBD oils are effective in the treatment of epilepsy and other seizure disorders. Studies have shown that CBD may have therapeutic benefits for brain disorders such as psychosis, depression, and multiple sclerosis. Other benefits of CBD are currently being investigated, including its effects on anxiety and depression, as well as on social anxiety disorder and post-traumatic stress disorder. CBD is a non-psychoactive form of cannabinoid which has been found not to interfere with the cognitive functions of the brain. It does not get you “high,” in contrast to THC, which alters the cognitive functions of the brain. According to a recent report by the World Health Organization (WHO), CBD is not addictive and it has no potential for abuse or dependence. This is mainly because CBD does not contain any addictive substances, in contrast to THC and some cannabinoids which contain such and are, therefore, capable of being addictive. There have been extensive reviews on the toxic potentials of CBD and reports have revealed that CBD has a relatively low toxicity. It has been found to be safe with little potential for adverse effects. CBD was found to have no effect on fetal development and other bodily functions. Generally, CBD does not produce the adverse effects seen with THC and other psychoactive cannabinoids. However, reports demonstrate that some reactions may occur as a result of its interactions with other drugs co-administered with it. CBD has been found to be effective in the treatment of depression. While CBD does not cure the condition, it has been linked to improvement of the symptoms. The cannabinoids produced in our bodies (endocannabinoids) help to regulate several functions of the body such as mood, pain sensation, sleep, and appetite. These substances exert their actions by binding to specific points of brain cells called the receptors through which they potentiate the actions of a substance called serotonin which acts to improve mood and reduce stress levels. Serotonin also acts by binding to its receptors in brain cells. When these chemical substances bind to their respective receptors, they trigger a series of events within each brain cell stimulating processes that improve mood and stress control. CBD has been found to help improve depressive symptoms by modulating the actions of the endocannabinoids and also potentiating the effects of serotonin by enhancing the activity of the receptors unto which serotonin binds. CBD oil helps to significantly improve depressive symptoms and the individual’s quality of life. CBD oil is available in several forms including tinctures, capsules, concentrates, and topical forms. However, it is most commonly administered orally. It is important to note that CBD is most effective when used regularly in maintenance doses, though it may be used for treating acute flare-ups. In the management of depression, CBD oil may be taken in the tincture and capsule forms. Individuals with depression can begin with a dose of 5 to 10mg daily until the desired results are achieved. Gel capsules of CBD are available as 25mg per pill and it is safe to begin at this dosage as CBD has a good safety profile. The effects of CBD lasts several hours after a dose is ingested and most persons report feeling better for up to 24 hours. However, you will only begin to notice these improvements after 90 minutes of ingestion of CBD oil. For managing acute flare-ups, it is best to vaporize CBD isolate for fast relief of symptoms. However, the maintenance dose should not be discontinued. Although you may also use the ingestible forms of CBD in treating acute flare-ups, these, generally, have a relatively longer onset of action. Generally, it is recommended that you consult with your physician before starting CBD oils to prevent drug interactions and exacerbations of any medical conditions you may have. Do not, also, discontinue or start any drug while using CBD without consulting your physician. For information on where to obtain CBD Oil, go here. CBD oil is generally safe to use with minimal risk of adverse effects. Side effects may be seen when high doses are taken. Some studies have revealed that if taken at high doses, it may cause a weakening of your immune system. However, the main concern with the use of CBD is the risk of drug interactions, therefore, it is recommended that you consult your physician before using CBD oil. Bottom Line: Can CBD Help You? CBD is one of the naturally occurring chemical substances found in the cannabis plant and though the stigma associated with the psychoactive counterpart, THC, has rubbed off on it, it has been shown to have immense health benefits in treating conditions such as anxiety, depression, mood disorders, and inflammatory diseases. CBD oil helps to significantly improve depressive symptoms and the individual’s quality of life. However, it should be noted that CBD does not provide a cure for the disorder, but leads to a better quality of life for the patient. Can CBD Oil Help With Depression? Cannabis 101: What’s the difference between Indica, Sativa & Hybrid? INjectable buprenorphine offers some interesting points for compliance. It is hard to relapse when you have a depot medication in your skin. I would like to see how this all pans out.